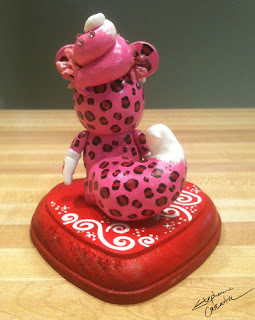 Remember that awesome Sugar Rush Racer we spotlighted a few weeks back. We ran into Stephanie again and she shared a cool custom with us. Also check out her sale she’s running, more info at the end of the post. 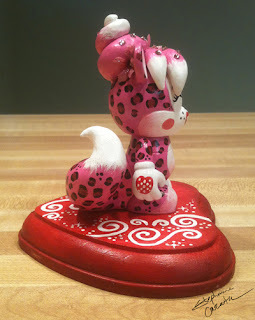 “I love kawaii art, and it fits the spirit of Vinylmation so perfectly. 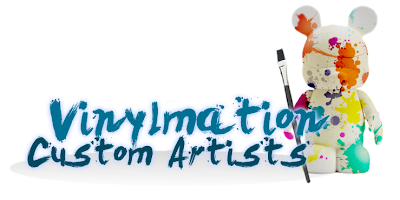 I really enjoy incorporating that style into my customs, which I’ve done a few times already. Inspired by Valentine’s Day (which is one of my favorite holidays), I had to come up with something cute and shiny (and pink is my favorite color too). This little character started to form in my head, and I went with it. 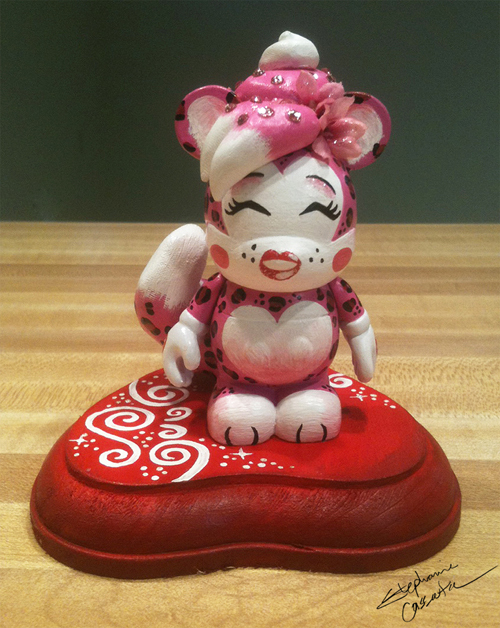 I love leopard spots and (of course) a little extra sparkle, so I had a lot of fun making this cutie! 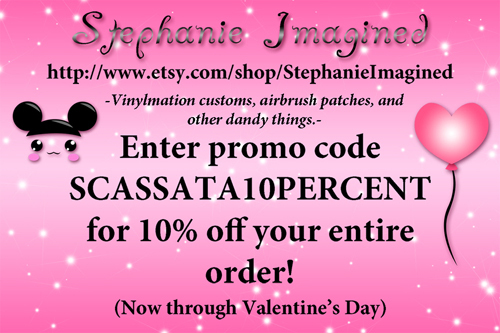 Stephanie is also running a salethru Valentine’s Day 2013 on her site. 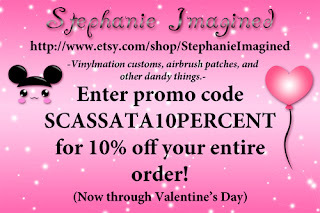 Use the coupon code in this image to get 10% off your entire order.